The CM Tornado is available in 3/4, 1-1/2, 3, 6 and 9 ton capacities with standard lifts up to 20 ft. The unit allow operator to realize full potential of 360° rotation that reduces repetitive wrist action. 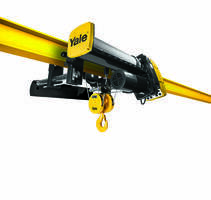 The hoist is equipped with a directional indicator that displays operating actions such as lifting, lowering or neutral. 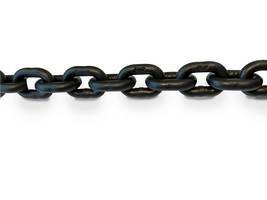 It is offered with bolt-on swivel hooks with nylon locks and a cast chain end stop. 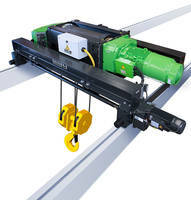 GETZVILLE, N.Y., October 4, 2018 – Columbus McKinnon Corporation (NASDAQ: CMCO), a leading designer, manufacturer and marketer of motion control products, technologies and services for material handling, has expanded its line of CM Tornado 360° ratchet lever hoists with the introduction of 9-ton capacity units. Ergonomically designed for increased safety, the patent-pending CM Tornado 360° allows the operator to be more productive with significantly less effort compared to conventional ratchet lever tools. Other features of the CM Tornado include a highly visible, easy-to-use directional indicator located on the handle that clearly shows the operating direction as lifting, lowering or neutral. 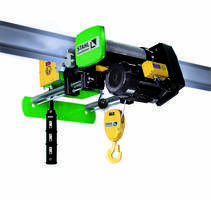 The hoist also has a cast chain end stop that allows the user to easily position the chain in free-chaining mode, preventing it from entering the liftwheel and jamming the hoist. 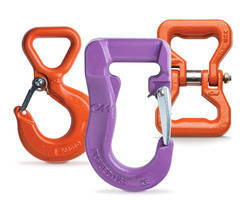 Bolt-on swivel hooks with nylon locks help users comply with ASME B30.21 and B30.10 inspection requirements. The CM Tornado is available in 3/4, 1-1/2, 3, 6 and 9 ton capacities with standard lifts up to 20 feet. Additional lifts are also available. The hoist features an industry-leading lifetime warranty and meets ASME B30.21 and EN 13157 manually operated hoist standard. 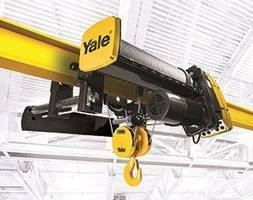 Outside of the North American market, this hoist is marketed under the Yale brand as the Yale Ergo 360°™ ratchet lever hoist. To learn more about the CM Tornado 360 or any of our products, call Columbus McKinnon Channel Services at 800-888-0985 or visit www.cmworks.com.